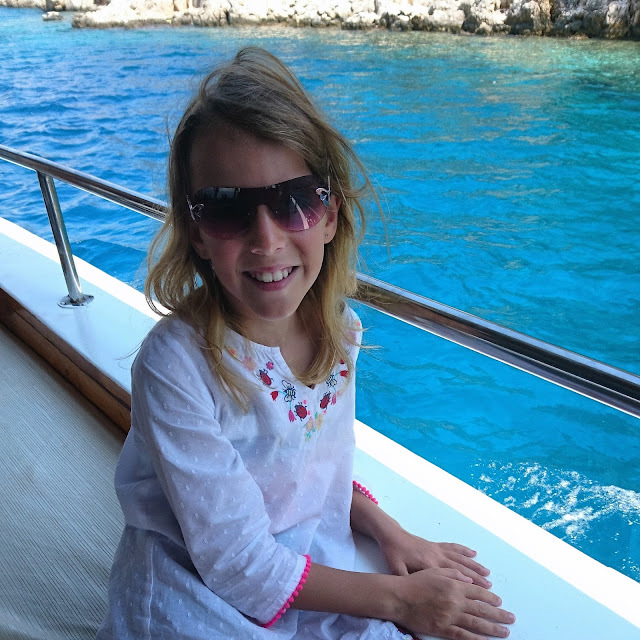 Whilst on holiday it was so good spending time with Gee, she is turning in to a proper little diva, where have the last 11 years gone? This photo was taken on a trip we took to discover the lost city, she just loved to watch the world go by and ask questions to the tour guide, I'm sure he was glad when we got off the boat. It is so good to see her smiling and not worrying. That is a lovely photo. It looks like a beautiful place. Children love to ask questions don't they, such a beautiful capture! Those moments when everyone is relaxed are so magical. Lovely photo! The water is so blue and beautiful! And the smile is beautiful as well.